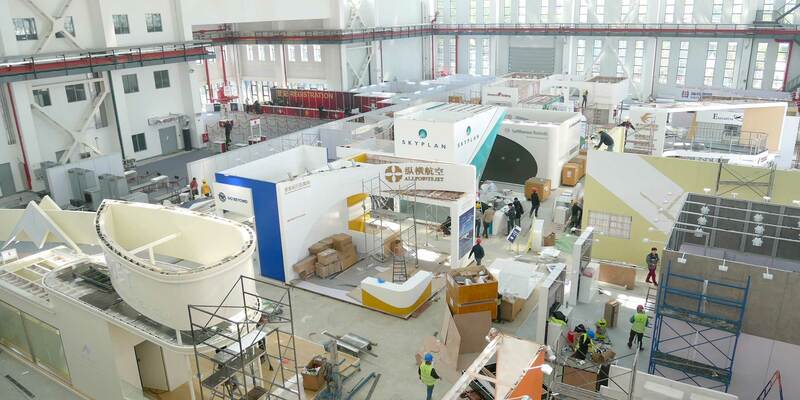 The Shanghai Hawker Pacific Business Aviation Service Centre is hosting about 170 exhibitors at this year’s Asian Business Aviation Conference and Exhibition at Shanghai’s Hongqiao Airport. Shanghai Hawker Pacific Business Aviation Service Center (SHPBASC) is host once again to ABACE for the eighth consecutive time since the Asian business aviation showcase was relaunched in 2011. "We'd like to think we get a little better each year," said Carey Matthews, general manager of the facility. It will be the first time the show has taken place under the roof of Jet Aviation, which completed the acquisition of Hawker Pacific on May 2, 2018. The western-style FBO at Hongqiao Airport opened in 2010 and added a 4,500-sq-m (48,437-sq-ft) second hangar last year, bringing it to a total of 8,500 sq m (91,500 sq ft) of space between the two structures, both of which will be used along with a temporary pavilion, to accommodate the approximately 170 exhibitors at the show this year. According to Matthews, the two hangars have seen good aircraft occupancy rates over the past year, as Hongqiao, which on the general aviation side handles largely domestic flights, saw improvement over 2017’s numbers. “We had an acceptable increase in traffic at Hongqiao year-on-year,” said Matthews. "We are seeing more frequency on the customers that have the airplanes, they really haven't stopped flying." At Pudong, an ambitious expansion project is rapidly proceeding, with the opening of a new terminal complex and the new Runway 5 eagerly anticipated. The new runway will be used to support airframer Comac’s C919 airliner flight-test program, as well as being for business aviation. With the expansion will come a new FBO, similar to the one at Hongqiao. What will eventually be the FBO’s ramp is currently being poured, and the new private terminal is expected to be completed by 2022 when the country once again hosts the Olympics. The airport’s first dedicated general aviation hangars are also expected. SHPBASC operates from two offices in the airport’s administrative buildings, where arriving crew and passengers can pass into the customs and immigration area. Two years ago SHPBASC set up a high-density private jet parking area at Pudong, which it expanded last year, to accommodate 26 aircraft. On the ramp it has three modified shipping containers, which serve as remote offices and storage/charging areas for tow tugs. Once the new FBO on the east side of the airport is completed, that parking area will likely return to cargo use, as business aviation parking is expected to migrate to the east side as well.